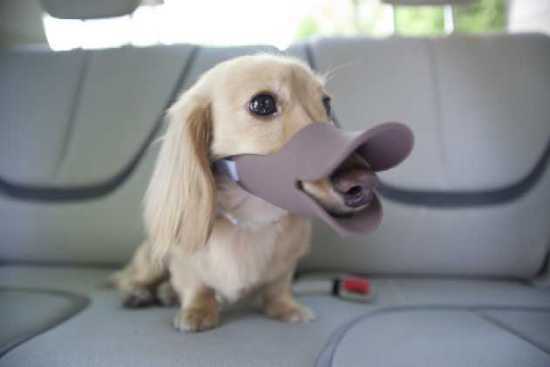 Stop making that duckface, and that goes for your little (or medium or large) dog too! Japanese designer pet supplies maker OPPO obviously didn't get the memo on the meme, as the company is persisting with their stated mission of providing pet products which “offer a lifestyle where humans and pets can coexist naturally as animals.” We think that means both you and your pet can now look equally ridiculous when posing together for MySpace, er, Facebook profile pics. 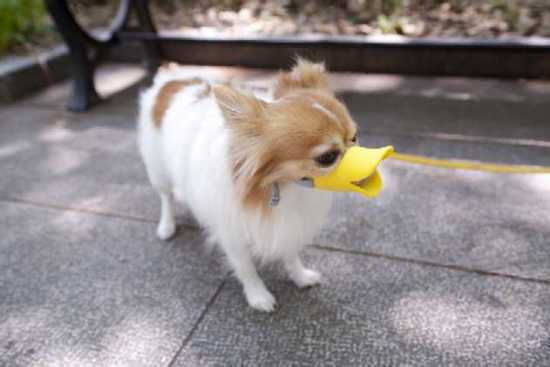 All indignity aside, the Quack dog muzzle was designed to be both pet- and pet-owner-friendly thanks to its soft silicone composition and “charming” beak-like shape. They may have a point as even the most intimidating Pit Bull will instantly revert to pampered Toy Poodle innocuousness once you slap a Quack on its schnozz. 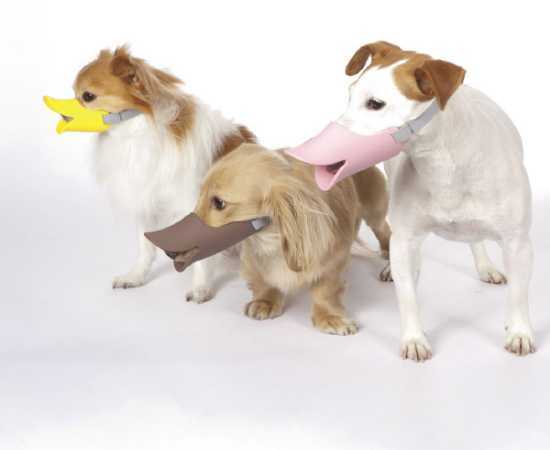 As silly as the Quack looks in OPPO's promotional imagery, just imagine the impression your pooch will make when the rest of his or her outdoor attire is added – this is Japan, after all, where well-dressed dogs are the In thing. 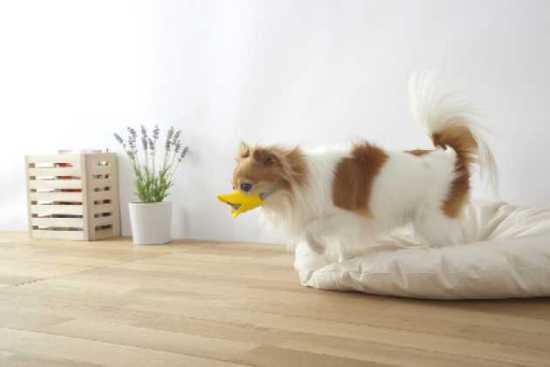 Shirts, coats, hats, boots, Hello Kitty ears and hair bows are de rigueur but it's all good: OPPO is in the business of bringing people and pets together, visually or otherwise. It's a little thing we like to call "misery loves company."